It was a proclamation that cost one million pounds to make. One hundred years ago. On December 12, 1911 it was formally announced at the Delhi Durbar that Delhi would henceforth be the capital of British India. 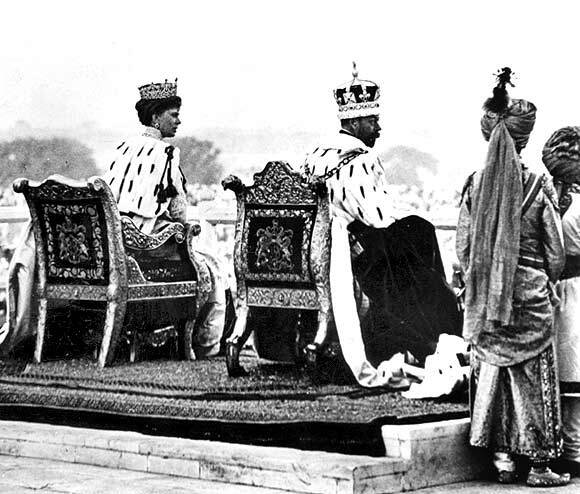 The 1911 Durbar, the third of its kind, was held probably at the peak of British imperial glory in India. It cost the British government in India upwards of a million pounds and took a long year of preparations. 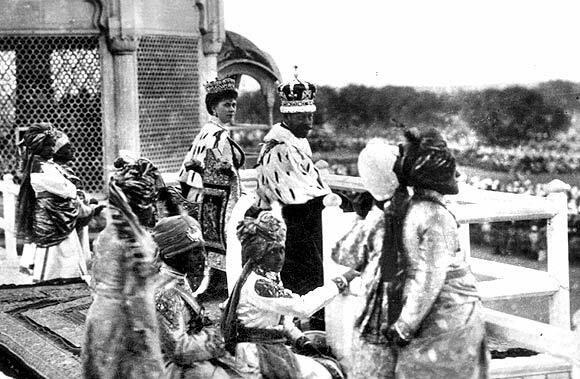 It marked the coronation of George V and was the very first visit of a British monarch to Indian soil; they arrived by ship through the Gateway of India in Mumbai. The very regal and decorous George V and his queen, Mary of Teck graced the occasion. They were proclaimed Emperor and Empress. At this Durbar the British king made public the surprising and historic decision to make Delhi the capital and the foundation stone for Delhi was laid three days later. 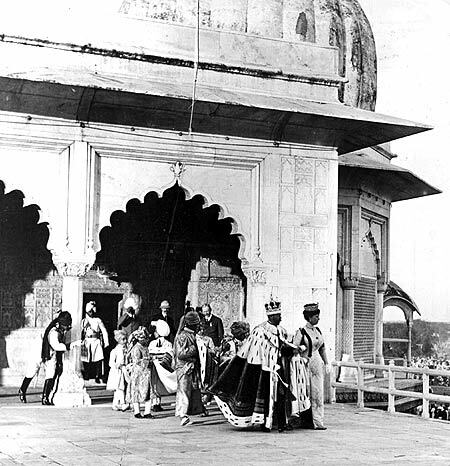 "We are pleased to announce to Our People that on the advice of Our Ministers tendered after consultation with Our Governor-General in Council, We have decided upon the transfer of the seat of the Government of India from Calcutta to the ancient Capital Delhi..."
Pomp and ceremony were at their height at the 1911 Durbar. And an occasion of such circumstance was never again see in India. 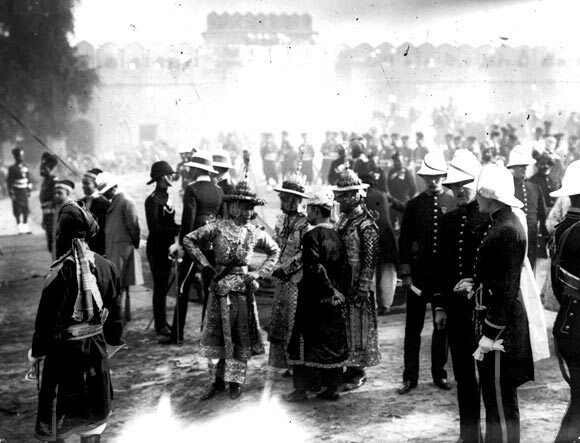 When George V, who was wearing his ornate maroon and ermine coronation robes and a special imperial crown, arrived at the Durbar at noon on that chilly day in December a 101-gun salute was fired. Some 200,000 people, Indians and Britishers, were expected to attend the Durbar. And another half million people journeyed to the Red Fort for a darshan with the royal couple from a window (jharoka) of the fort. The king's nearly one kilo heavy crown -- he later complained it gave him a headache -- contained over 6,000 diamonds apart from rubies, emeralds and sapphires and was created by the famous London Crown Jewellers, Garrard & Co. It was the only British crown to leave the shores of Britain and cost 60,000 pounds then and is today (it rests in the Tower of London and was never worn again) valued at 4.5 million pounds. George V wore the crown into the Durbar and was not crowned at the Durbar because the then Archbishop of Canterbury did not feel that a Christian monarch should be coronated in a Christian service in a predominantly non-Christian land. India's most important princes, some 600 of them, including the Maharaja of Mysore, the Nizam of Hyderabad, the Gaekwad of Baroda, the Maharaja of Kashmir, the Begum of Bhopal (the only woman ruler) were part of the Durbar. Present too were 20,000 soldiers, all the representatives of British India including Viceroy Charles Hardinge and his wife, the most important regional Indian chieftains and noblemen and zamindars, top British generals as well as gigantic flotillas of elephants, horses and camels. The rajahs came in their ornamental best. As a British chronicler at an earlier Durbar noted: "The native spectators looked, but were silent; the Europeans exclaimed, stared, marvelled, appraised extravagantly, were, indeed dazzled and impressed - mainly by the display of jewels. To the average Western mind, a man who can carry 50,000 pounds in ornaments on his own person is to be regarded with something a little deeper than reverence...."
The Ladies of India (a term for senior women royalty) presented Queen-Empress Mary with a special emerald and diamond tiara (which is today called the Delhi Durbar Tiara). It was gifted to her by the Maharani of Patiala at the Durbar. Thousands of silver medals (26,800 medals to be exact) were presented to soldiers and gold medals to Indian royalty and top British officials. There were no traffic jams! 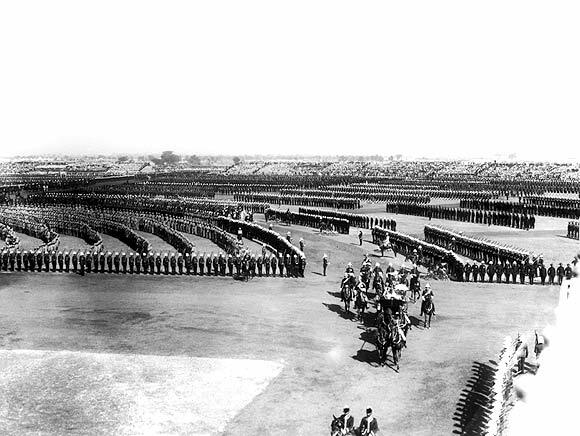 Meticulous planning, across a year, went into the making of the Durbar that occurred at a specially constructed sumptuous tent city at Coronation Park outside Delhi (today it is north Delhi). The programme of the coronation, which is available in various historical archives, is evidence of the depth of detail that was attended to. Detailed routing instructions (to prevent carriage jams), exact instructions for parking of carriages, color coding of coachmen, areas for 'pardah ladies' to view the proceedings, games and sports as well as polo to amuse the participants were all worked out. And he dared to show his back! The administrators of British India believed that India would be easier to administer if the capital was moved to a more central and northern location and hence three days after the Durbar at Kingsway Park the foundation stone for the viceroy's brand new Delhi residence was laid. This led, hundred years ago, to the rise of New Delhi, a British Delhi, quite distinct from the old Delhi which had existed for centuries, off and on as a capital of bygone empires as haughty as the British Empire. 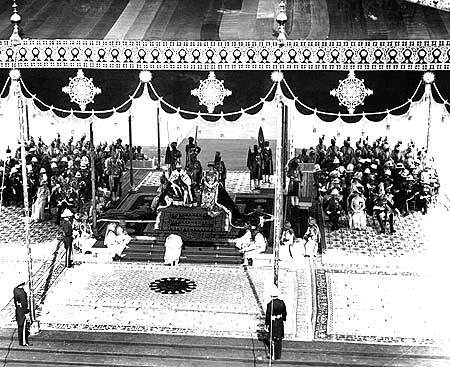 Proceedings at the Durbar, which unfolded with military precision, were marred by a single episode termed the 'Gaekwad Incident.' When the Gaekwad of Baroda, Maharajah Sayyaji Rao III, went up to greet George V, minus his jewels, he merely bowed once and had the affront to turn his back on the king when he went back to his seat.